Urjit Patel's resignation as RBI Governor will not just lead to re-examination of a host of RBI's policies, including systemic liquidity, Prompt Corrective Action, capital reserves and governance within RBI itself but-most importantly-it may bring hope for two individuals, Uday Kotak and Rana Kapoor. 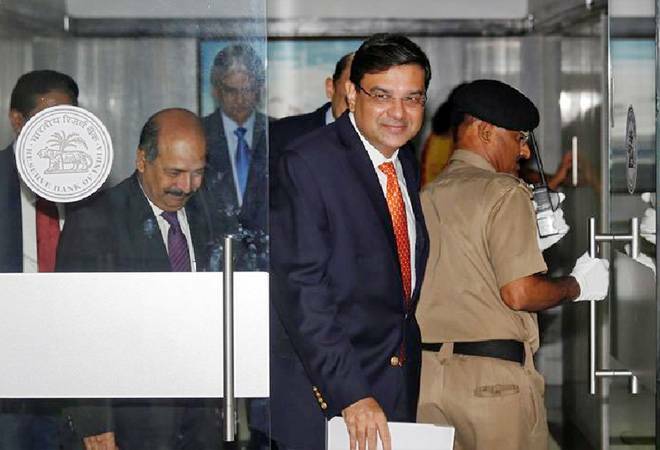 Both individuals faced a recalcitrant RBI led by Patel with finite deadlines to act on RBI's dictat. They could hope to make a fresh representation with the new Guv for reconsideration. While Rana Kapoor is being forced to step aside from his position as MD & CEO of Yes Bank, Kotak faced an obstinate RBI refusing to budge on its stand that dilution of his stake via Perpetual Non-Convertible Preference Shares does not meet RBI's promoter holding requirement. Kotak is required to cut his ownership to under 20 per cent by 2018 and 15 per cent by March 31, 2020, as per RBI's plan to limit the influence of promoter shareholers. "We continue to believe that we have met the requirement," Kotak Mahindra Bank said. RBI's insistence that promoter Uday Kotak must dilute 20 per cent equity by December 31 created a deadlock that finally forced Kotak Mahindra Bank to approach the Bombay High Court with a writ petition to validate the bank's stance. Both will now hope that a new man at the helm at India's central bank may look at them dispassionately and with a fresh pair of eyes. Both Kapoor and Kotak have finite deadlines to abide by the RBI dictat. They would surely make fresh representations to the new Governor. Kapoor had sought an extension until September, 2019: "for finalisation of audited financial statements for fiscal year ending March 2019 and in order for the statutory AGM process to be completed". However, that was rejected by the RBI. Yes Bank was asked to find a successor by January 31, 2019. Earlier, Urjit Patel-led RBI had ousted two other bank chiefs: Axis Bank's Shikha Sharma and ICICI Bank's Chanda Kochhar. The new dispensation at RBI will likely look at several other issues dispassionately. Especially, the most contentious issues between RBI and the Centre: RBI's strict 90-day NPA policy issued via a circular in February this year; Prompt Corrective Action against 11 poorly performing banks; systemic liquidity and sharing of RBI's Rs 9.69 lakh crore worth of reserves. Even though deputy governor NS Viswanathan will take charge of RBI in Patel's absence, I suspect the government would have anticipated this and the suggestions for the new Governor would already be in the works at the finance ministry to refer to the PMO. Especially, since the Centre's appointees on the RBI board such as S Gurumurthy and Satish Marathe had already piled on pressure on him from within and outside the RBI. So what should be expected? Most likely the NPA policy will be relaxed, specifically for the power sector. Better performing banks under PCA such as Corporation Bank, Oriental Bank and Bank of India are likely to be spared from the PCA mechanism and could be allowed to start building their loan book all over again. More liquidity will surely be infused into the system. Partly through higher open market operations and, perhaps, even by cutting Cash Reserve Ratio in the next Monetary Policy Meeting. And although the November 19 meeting specifically agreed that only future reserves of RBI will be in the ambit of the expert committee on Economic Capital Framework, it won't be a surprise if that goes under review as well. To be sure, Patel will be the last Governor to run RBI as freely as it has been. Expect new systems and procedures and governance standards to be set up regarding management of the affairs of the institution. For long, new directors on RBI have been vocally expressing their dissatisfaction with the NPA circular this February since it came a day after an RBI board meeting where, it is alleged, that it was not even discussed. The circular came as a huge surprise to the Centre which had to bear the brunt of nearly Rs 2.3 lakh crore of additional NPAs over and above the then declared NPAs of over Rs 8 lakh crore. Future Governors will operate with limited leeway and even limited arbitrary powers. Whether that is for good is something that needs to be seen. Had RBI Governor Urjit Patel met PM Modi earlier too with a resignation letter?